Hello, my name is Maikhou Thao. I am thrilled to join the Everyday Impact Consulting team! Our founder, Elaine Abelaye-Mateo, has a compelling vision, grit, and community connection that has help create positive change in communities throughout California. I cannot wait to be part of a firm pushing to create innovative and thoughtful strategies. As the Administrative Assistant, I will be helping senior staff with a wide-variety of tasks on many of their projects. My story begins when my parents came to the United States as Hmong refugees in the 1980s hoping to give their children a better future than they could ever give themselves. Growing up with a large family of thirteen in the small town of Oroville, California as a low-income and first-generation college student, these barriers and challenges motivated me to aspire towards changing the world and create a lasting impact for future generations. Surrounding myself with the best mentors and support that I could ever ask for, while interning at the White House Initiative on Asian Americans and Pacific Islanders in 2016 I became one step closer to achieving that dream and reality of creating tangible change in underrepresented and marginalized communities. 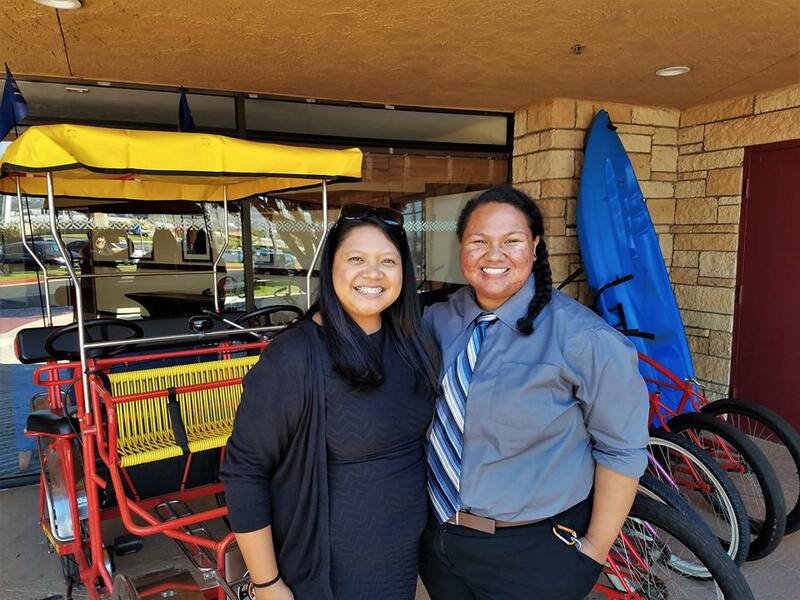 After receiving my Bachelor’s degree in May of 2018 from California State University, Chico I was connected with the opportunity of working for Everyday Impact Consulting and took another chance to help build and strengthen communities. I am so happy to join the team in my role as the Administrative Assistant helping to coordinate opportunities alongside other empowering and inspiring individuals. With so much to learn and room to grow, I feel blessed to continue the daily collaboration and expansion of the work that our Everyday Impact Consulting team engages in so that we can create lasting change and strengthen our voices in building a more diverse and accessible future for all. I started working for Everyday Impact only a couple days after my undergrad commencement, and I hit the ground running. I knew that I had a lot to learn - what better way to learn than diving headfirst into the work? I am grateful to have worked alongside such amazing people in creating positive social change. Working with Team EIC has given me the opportunity to connect on a deeper level with the community in which I grew up. I have grown a lot during my time with the team, and I know that this is not the last time that our paths will cross. Moving forward, I'll be spending time connecting and collaborating with folks in community, especially the youth. Through my work with Sacramento BHC's Youth Engagement Action Team, I met some of the most brilliant and talented youth in Sacramento. Working alongside these young leaders reminded me of everything I enjoyed about working with youth, and I am pursuing further opportunities to continue doing so. I have gained a wide range of experience in different aspects of community work through my time with Team EIC, and I will be using this experience to continue building upon the impact I have on my community. I wish for nothing but the best and continued success for Everyday Impact. More than 30 years ago, my family came to this country as refugees. At the age of six, I spoke no word of English and neither did my parents. I would have never imagined myself doing the work that I do now. Having grown up in a large family and close-knit community has taught me that collaboration is key to achieving a common goal no matter how big or small. Sometimes it’s the journey that matters. Together, we can do so much more whether it is building up the next generation of leaders or advocating for policy changes to improve the health and wellbeing of our communities. I am excited to join the Everyday Impact Consulting team as we have now expanded to the Central Valley. In my new role as senior consultant, I am thrilled that I will be anchored in my hometown of Fresno. This expansion enables me to stay grounded in my community and continue to take part in the movement building taking place with the leadership of residents, youth, and organizations to improve this beautiful region. I look forward to the everyday opportunities to work alongside our communities as a thought partner, ally, advocate, and collaborator. Each day offers each and every one of us one more chance to make a difference. Let’s make a difference together. Sometimes clients and friends will ask me how I came up with the name of our firm – Everyday Impact Consulting. While I’d love to say that I had some brilliant epiphany one day and the name came to me during some spark of genius, the reality is that I came up with our firm name at my kitchen table just over five years ago. The words have meant different things to me over time. In the first few years, the words “Everyday” resounded. As a small business owner, I needed to work hustle – every. day. I worked hard, kept our operations costs razor thin, and put everything I had into everything I did to make a true impact wherever I could. Things have changed, slightly, as our firm has evolved. My kitchen table work space has been replaced with an office. And my team has tripled in full-time staff (from one to three). Now, the word impact resonates as we near our sixth year of operations. I am amazed by the impact the team has been able to make working in partnership with ourfantastic clients. Going into this year, we are expanding our impact. I am excited to announce that Everyday Impact will be growing the reach of our services, specifically in the San Joaquin Valley. 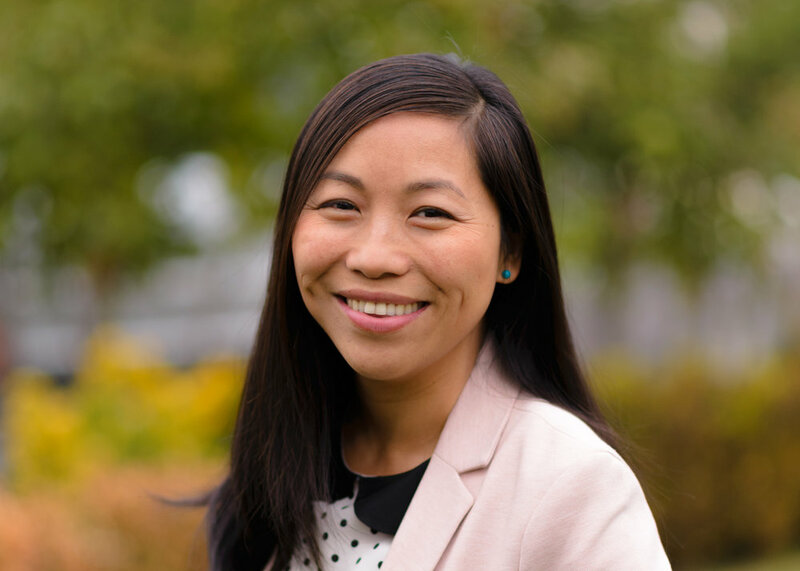 We are opening an office in Fresno and our expansion will be led by our newly hired Senior Consultant, MaiKa Yang. I am very excited to have MaiKa join our EIC team. We first met years ago as Executive Directors for community-based non-profit organizations, each serving immigrant and refugee populations. I am thrilled to work alongside her in her role as Senior Consultant as she leads our expansion into the San Joaquin Valley. MaiKa is a seasoned advocate and has over twenty years of experience in community-building, policy, communications, and project management. Please join me in welcoming her to the EIC team! We also have a fresh look and have updated our website. Check us out at www.everydayimpactconsulting.com. We will be posting an EIC blog every quarter so check back often to learn more about our impact. 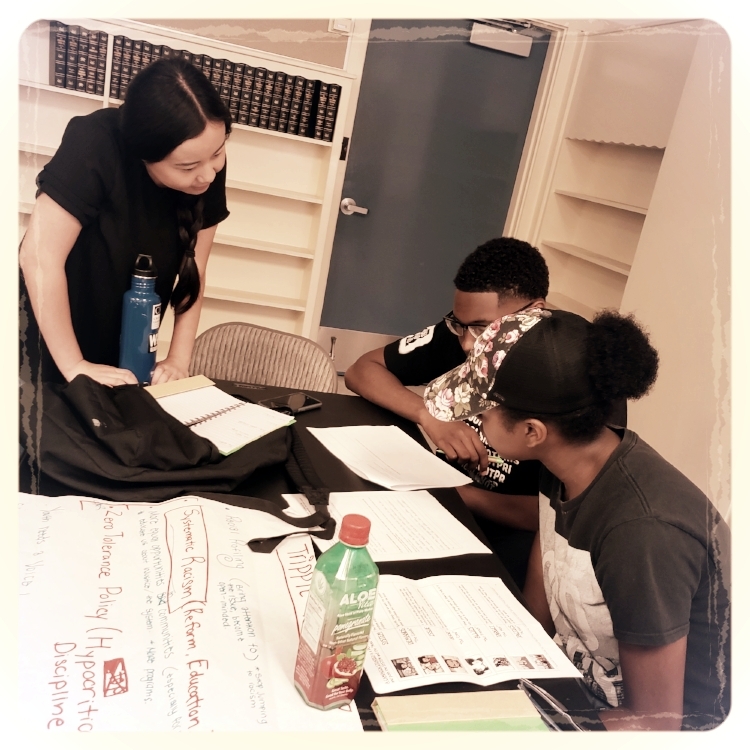 And just this month, we created impact in partnership with a team of non-profit partners from throughout California who facilitated the Multi-Year Language Access and Resources (MYLAR) training series led by Sherrie Calibo, EIC’s Program Consultant and our lead partner, My Sister’s House. Over the last ten-months, the MYLAR team facilitated the MYLAR training in twelve different cities, training over 400 victim service advocates. Stay tuned for the upcoming MYLAR training media which is currently in development. And lastly, thank you, as always, to our clients and partners. We are humbled and honored to go on this journey of community and movement-building alongside each of you. We thank you for your partnership and will also be committed to doing our very best – everyday. In the coming months, through our website and on social media you will learn more about the ways that we will continue to live out our mission and create lasting impact for our clients and the communities they seek to serve through re-imagining systems and developing innovative strategies to break through barriers. Everyday Impact Consulting (EIC) is proud to announce and welcome Sherrie Calibo as the company’s Program Consultant. Calibo will be responsible for managing several projects for EIC including the Multi-Year Language Access Resource (MYLAR) Project, a statewide training series designed to increase cultural awareness about Latinos and Asian and Pacific Islanders among victim service providers. EIC is responsible for managing and coordinating the statewide team. Our new year’s resolution at Everyday Impact Consulting is to be your partner for progress. This new year brings changes, transitions and, yes, challenges. We stand with you to protect the rights of every individual, to resist any threats to our communities and to advocate for justice and equity. We believe in the collective power and passion of the communities and organizations we serve. We are encouraged by the successes from 2016 and we know that 2017 holds even more promise.